the iron across the batting quickly. 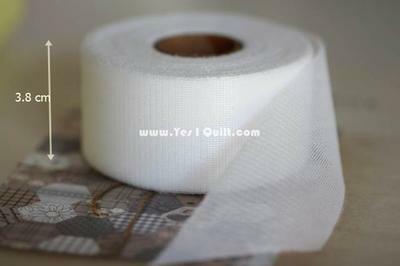 If needed use an appliqué sheet over the tape on the high loft 100% polyester. when it cools the batting is fluffy again. either side of the batting to hold it in place. any pressure – “smooth out the tape” with the heat of the iron. the needles and can be stitched by hand or by any machine.